It takes good video and has a 72-hour internal battery. Vava’s upgraded Dash Cam 2K (the VA-VD005) is still largely the same stylish, cleverly designed product we first saw and reviewed favorablly (the VA-CD001). The major enhancement is a new sensor that captures video at 1440p, rather than the more pedestrian 1080p. The original is still the best lower-end dash cam for phone-centric users (there's no display), though that overall bar has been raised quite a bit since the product was introduced. This review is part of our ongoing roundup of the best dash cams. Go there for information about our top picks and how to buy the best one for your needs. 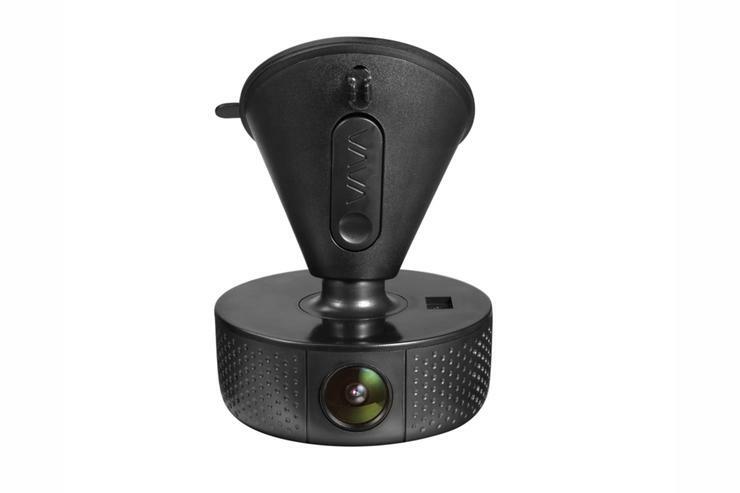 The Vava Dash Cam 2K looks like nothing so much as a hockey puck. Sorry. It's true. But that allows it to rotates 360 degree on its magnetically coupled mount so you can easily capture video outside or inside the car. It doesn't have a display, but there's an app so you can view and easily share the fun (or tragedy) with the world. All cool, but our favorite feature is actually the 320mAh battery and the ability to capture G-sensor-activated video for up to 72 hours with the car turned off and without any hard-wiring. 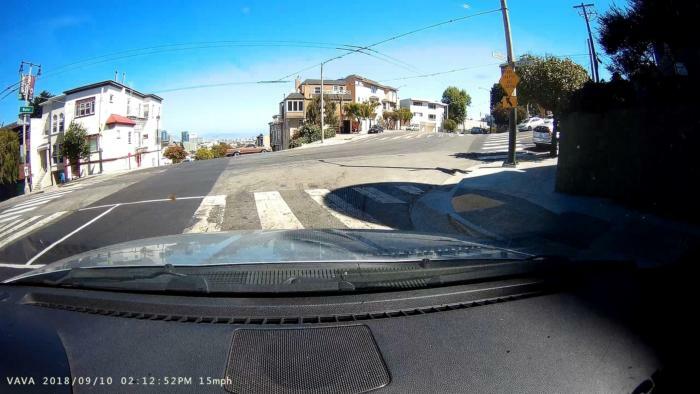 Where the Dash Cam 2K differs from its predecessor is the new OmniVision OV4689 sensor that captures video at 2560x1440, rather than plain 1920x1080 captured by the VA-C001's Sony EXMOR IMX291. The optics are good enough that you get a bit more detail, but you also wind up with slightly larger files. The Dash Cam 2K is now also packaged differently. The camera itself is sold for $99, and the formerly bundled Bluetooth snapshot button is a $10 option currently (available on AmazonRemove non-product link). The optional GPS module costs $13 currently (available on AmazonRemove non-product link). All total, that's about what you paid before without the GPS. If I have any gripe about the the Dash Cam 2K, it's that the suction mount is quite sticky and picks up every piece of hair or lint in the area if you drop it. Clean it using warm water only—no soap or chemicals. Or perhaps permanently attach the mount with double-sided sticky tape once you’ve determined the optimal location. As the camera is easily detachable, it would be nice if Vava bundled a usual semi-permanent mounting solution. On the area of the puck opposite the lens is a captive rubber cover (stiffer than the previous model) that pops off to reveal the slot for the SDHC card and two very tiny status lights: red to indicate incident recording and other bad stuff (full memory cards, errors), and blue for normal operation. One shows white when you're connected to your phone or tablet via Wi-Fi. 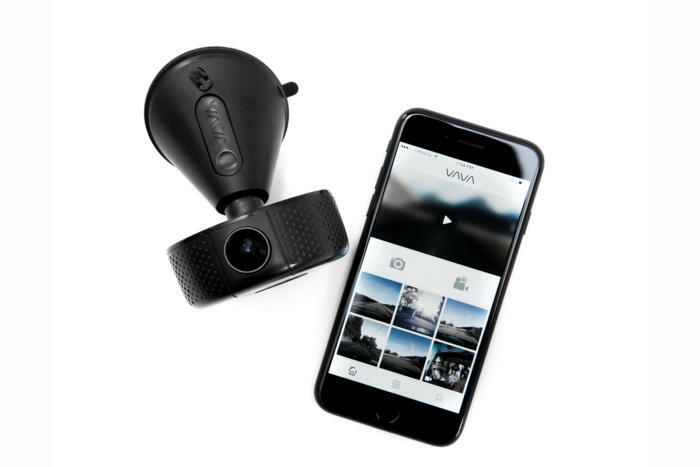 Though you can just use the VaVa Dash Cam 2k as-is by removing the SD card and using a reader to view files, you can adjust settings and view files connecting via Wi-Fi to your phone and using the VaVa app. The Vava Dash Cam app (iOS/Android) can be used for viewing the current feed, offloading videos, and tweaking various settings. All the essential tweaks such as parking mode, resolution, and G-sensor sensitivity are covered. You connect the app with the camera by logging onto the Vava Dash Cam’s Wi-Fi hotspot with your mobile device. The app is all well and good for the phone-centric user, but most folks who've tried some of our dash cams tend to opt for displays. It's just easier than dragging out your phone and launching an app. Still, a matter of taste. The upgraded sensor in the Dash Cam 2K captures a bit more detail, and video has a nice color palette. Overall, it's very good. But, having just slammed the Garmin 45 for bouncy video, I have to mention that the Dash Cam 2K's is a bit worse. It doesn't have the same large "wipes" from slow image stabilization, it's just shaky when you hit bumps. My street/track vehicle is sprung very stiffly, and my neighborhood is under continual construction these days, so users with fewer of these issues should have less of a problem. There's also a bit of fish-eye effect as you can see below, but that's to be expected in a camera with a 155-degree field of view, aka, a wide-angle lens. There's certainly nothing wrong with the Dash Cam 2K's day video. But video stabilization isn't very good. If you have a stiff-riding suspension, the camera jitter could be annoying on rough roads. Low-light video was also fairly detailed, but grainier than the best we've seen. Brightening the video in post-processing will reveal more detail in dark areas, but also increases the grainy effect. With or without headlights, however, you can easily make out license plate numbers. 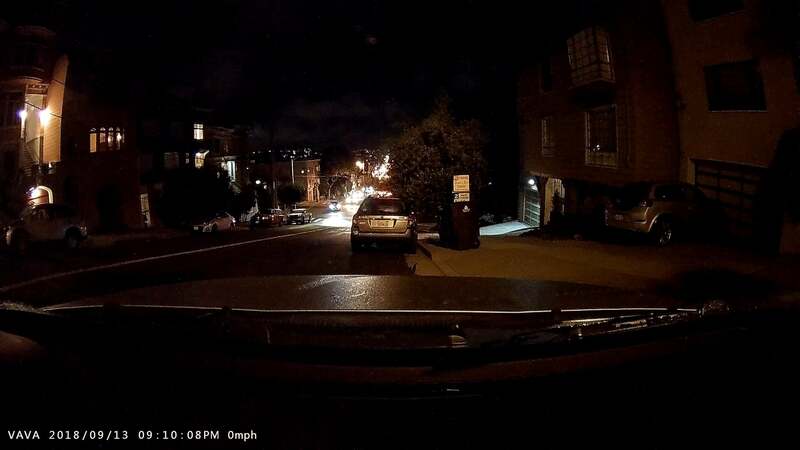 Though it appears a bit dark by default, the detail is there in the Dash Cam 2K's low-light video. With the headlights on (not shown), it's also very good. By simply increasing the brightness, you can pick out details in the surrounding area. I should note that video captures in general throughout the industry have improved greatly since our last look at the Vava Dash cam. Thanks to new generations of sensors the 2K is competitive, but no longer stands out from the crowd. The 320mAh battery inside the Vava Dash Cam 2K has enough capacity to power the unit (on standby most of the time) for quite a while. Nearly three days in our testing. Video is recorded only if the G-sensor detects an impact. Vava tested the Dash Cam from minus 4 degrees to 158 degrees Fahrenheit, which should cover even the hotter areas in the United States. Regardless, shielding or covering the unit is recommended when prolonged exposure to hot weather and sun is expected. A lot of dash cams have passed our portals since I reviewed the first Vava Dash Cam, a number of which are cheaper with basically the same quality of video. But the Vava in either iteration is still our favorite budget camera for a phone-centric lifestyle, and one of the few that can keep an eye on things in your car for up to three days without a hardwiring kit. I'll give a slight nod to the newer Dash Cam 2K for the slight increase in low-light video detail, but both are good dash cams.